Micron has confirmed in a blog post that they have officially completed the design and device qualification of their next generation GDDR6 memory. They have also stated that the company plans to begin mass production of the next generation memory during first half of 2018. Kristopher Kido, Director of Micron’s global Graphics Memory Business, confirmed in their blog that their advanced GDDR6 memory has completed design and device qualification and is now heading over to mass production which should commence sometime in early 2018. Micron’s graphics division which are based in Munich and Boise were responsible for this key achievement in the memory development and they have reported that they are very pleased with the memory performance that GDDR6 will offer to customers across a range of products that crave memory bandwidth. Micron was the only memory manufacturer to work on GDDR5X and offer various configurations of the said memory, allowing them to put their attained expertise in the next-gen GDDR6 memory which shares a lot of fundamentals with G5X. Micron has estimated that GDDR6 will achieve 16 Gb/s bin over time while the initial GDDR6 mass production will hit speeds of 12 and 14 GB/s. These speeds still put the GDDR6 memory a lot fast compared to G5X and GDDR5 variants. Talking about GDDR5, Micron also confirmed that they are going to begin mass production shipments of 8Gb GDDR5 memory on their advanced “1Xnm” DRAM process node which is listed in their long term product roadmap for GDDR5. 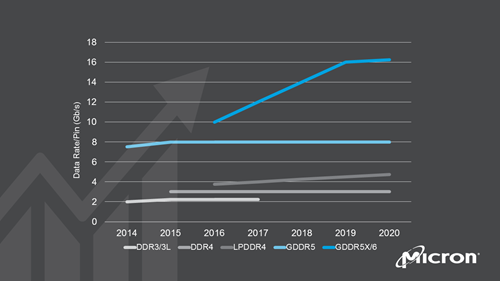 While GDDR6 will be set as the next standard for high-performance graphics cards, budget and entry level cards will continue using GDDR5 memory as GDDR6 will come at a slight premium while GDDR5 will offer a fast lower cost solution. So coming to the specifications, GDDR6 will come in 8Gb and 16Gb densities while the standard followed by JEDEC allows for up to 32Gb dies. The 8Gb DRAM dies will allow for up to 8 GB VRAM on a 256-bit wide card and 12 GB VRAM along a 384-bit wide card. The 16Gb dies will essentially double the VRAM since each chip will feature 2 GB VRAM. A 384-bit bus card could feature up to 24 GB while dies with 32Gb density will deliver 48 GB VRAM along the same interface. Looking at the speeds, we are seeing an incredible jump from 12 Gbps (GDDR5X) to 16 Gbps (GDDR6). The NVIDIA GeForce GTX TITAN Xp packs the most bandwidth on any consumer GPU to date with a total amount of 547.7 GB/s using 11.4 Gbps GDDR5X chips. 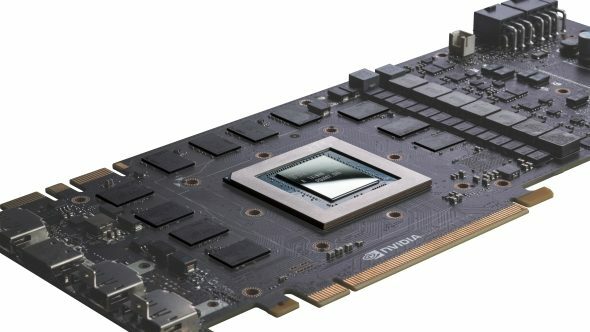 The first generation GDDR5X chips were ran at 10 Gbps on the GTX 1080 which was recently upgraded to even faster 11 Gbps G5X chips. 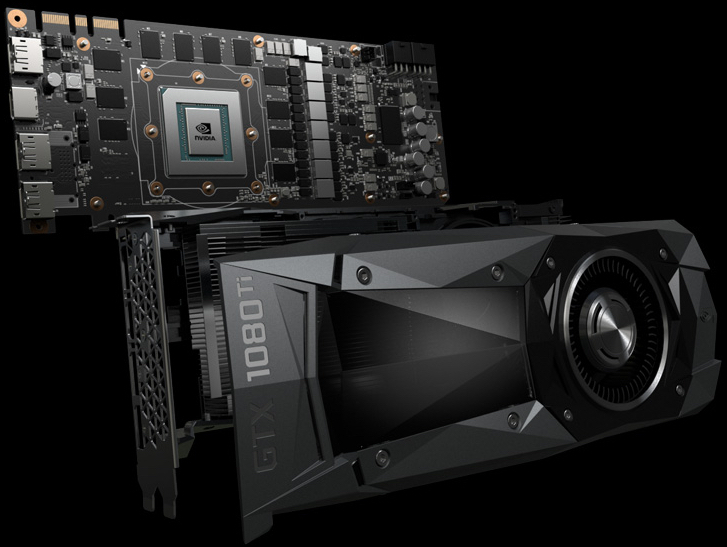 We can look forward to a range of high-end and mainstream graphics cards from NVIDIA and AMD in 2018. GPU manufacturers will have the options to select from multiple DRAM manufacturers as Micron, Samsung and SK Hynix have already planned to begin mass production of GDDR6 memory in 2018.